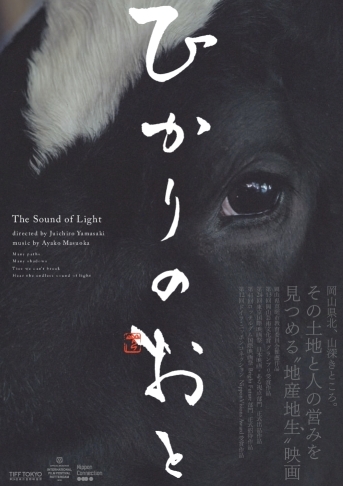 "The Sound of Light (Hikari no Oto)" is now playing at Shibuya Auditorium Theatre. From FEB.23(Sat) to MAR.1(Fri), it will be starting at 19:00 w/English Subtitle. The movie directed by Juchiro Yamasaki who is a real tomato farmer in Okayama, has been well reviewed as "Real Movie" by 4000 local audiences in Okayama, farmers in Japan, film festival programmers in the world etc. Please come to Shibuya Auditorium and Experience the Japanese Local Life and Culture! During the week, Dir. Yamasaki will be in the house everynight with Special Movie Guests, and hosting talk-session with audience after the screenings! This week will be the last week of "The Sound of Light". Please Enjoy your night with the movie and Special Live Talk in Shibuya! !